Because of our special relationship with 3rd Power Amps we can get this as fast, or faster than anyone in the industry. In some cases, we even have preferred build slots we can offer you. The DREAM 50 PLEXI's dual 12AX7 preamp and tone stack circuitry featuring Volume, Treble, Middle and Bass controls faithfully deliver an authentic plexi experience that leans toward a late '68 plexi with an excellent balance of tone, attitude and grit. 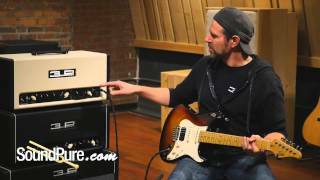 In this video, CEO and Designer for 3rd Power Amplification, Jamie Scott, introduces the world to his mark 2 series amplifiers. This amp is available for SoundPure’s Try-Before-You-Buy Program, so if you want to hear how this amazing amp sounds in your studio with your gear, shoot us an email to Amps@SoundPure.com. If you like what you hear, check out this gear at SoundPure.com or give us a call anytime at 919.682.5552. Thanks for watching! 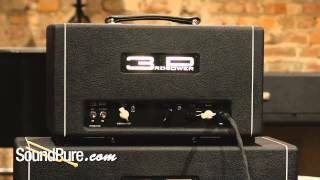 3rd Power's BRITISH DREAM amplifier represents what a modern interpretation of a vintage amplifier should be. It possesses the soul and fire of these legendary vintage amplifiers but now with modern features and a rejuvenated design. You'll be amazed by BRITISH DREAMS's crisp performance with superior precision, consistency and beauty. 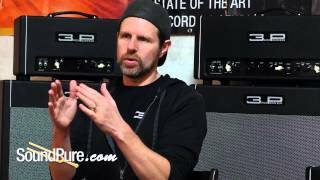 In this video, CEO and Designer for 3rd Power Amplification, Jamie Scott, introduces the world to his mark 2 series amplifiers. This amp is available for SoundPure’s Try-Before-You-Buy Program, so if you want to hear how this amazing amp sounds in your studio with your gear, shoot us an email to Amps@SoundPure.com. If you like what you hear, check out this gear at SoundPure.com or give us a call anytime at 919.682.5552. Thanks for watching! The Dream Weaver MKII features '59 Tweed and '63 Blackface based amp voices on channel one and a rich, organic Plexi experience on channel two. It possesses the soul and fire of these legendary vintage amplifiers but now with modern features and a refreshing design. You'll be amazed by DREAM WEAVER's crisp performance with outstanding precision, beauty and rugged construction. 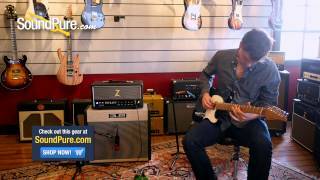 In this video, CEO and Designer for 3rd Power Amplification, Jamie Scott, introduces the world to his mark 2 series amplifiers. This amp is available for SoundPure’s Try-Before-You-Buy Program, so if you want to hear how this amazing amp sounds in your studio with your gear, shoot us an email to Amps@SoundPure.com. If you like what you hear, check out this gear at SoundPure.com or give us a call anytime at 919.682.5552. Thanks for watching! 3rd Power's DREAM 40 AC amplifier takes the comprehensive AC channel of our British Dream MKII and packs it all into a smart, streamlined package. You'll be amazed by DREAM 40 AC's crisp performance with superior precision, consistency and beauty. 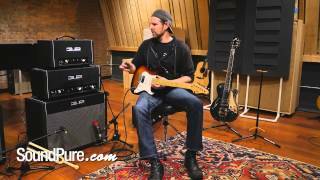 In this video, CEO and Designer for 3rd Power Amplification, Jamie Scott, introduces the world to his mark 2 series amplifiers. This amp is available for SoundPure’s Try-Before-You-Buy Program, so if you want to hear how this amazing amp sounds in your studio with your gear, shoot us an email to Amps@SoundPure.com. If you like what you hear, check out this gear at SoundPure.com or give us a call anytime at 919.682.5552. Thanks for watching! The Dr. Z Therapy Amp Head responds beautifully to your picking nuances and makes sure every time you dig into a string - it responds accordingly. It is an extremely versatile do-all amp with enough gain on tap to go from sparkling clean to Tweed-y growl to Overdrive Special style saturation.. The Dr. Z Therapy Amp Head is available for SoundPure’s Try-Before-You-Buy program, so if you want to hear how it sounds in your studio with your gear, shoot us an email at Electrics@SoundPure.com. 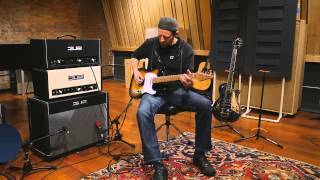 If you like what you hear, check out the gear used in this video at SoundPure.com or call us anytime at 919.682.5552. Thanks for watching!